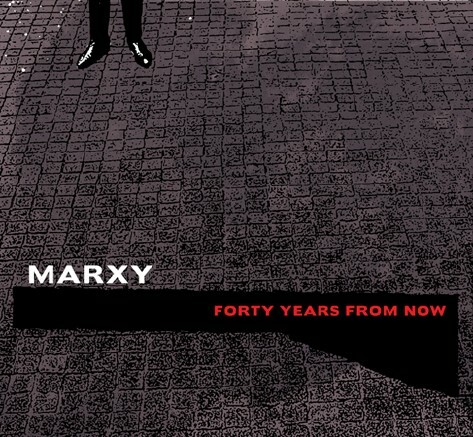 My new album Forty Years from Now is finally out! The first quote-unquote single “Cat vs. Mouse” is available for free download and features vocals from UT of the band Kiiiiiii and production from Pandatone. The twelve-song album was recorded, mixed, and mastered in various recording studios and bedrooms across Tokyo and New York City. Thanks to Néojaponisme Art Director Ian Lynam for the cover design. I just listened to “Cat vs. Mouse” and am very impressed. I especially admire the low synth and the drum mix. The chaotic breakdown halfway through also pulled me in. Did you produce and engineer this by yourself or through a studio? I would like to see this performed live. If you have any Tokyo dates, I hope to attend. we’re working on the itunes problem now. it might be a few weeks untill that is fixed. Boomkat does not work for you? you do need to create an account. but, you have to for anyplace to download. boomkat will take visa or mastercard. same with Other Music i believe. if your in japan. and those services do not work. you can order the CD directly from p*dis (our jp distro). Did you produce and engineer this by yourself or through a studio? Everything on this album was massively convoluted in execution: the original was done by me, but Pandatone and I decided to have him remix what I had done at the very end. Vocals were recorded in a rehearsal studio in Sangenjaya a long time ago. I should post the more rock “original version” at some point too, although the final product was much nicer. I would like to see this performed live. No, that’s the only one she sings lead on. It’s me on everything else. Great! Love the demo MP3, twiddling my thumbs whilst the FLAC downloads – thanks for making the album available in this format! Just to check re. the downloadable versions: “The Lincol Brigades” is a typo, but the abrupt ending of “The Lincoln Battalions” at 02:51 is intentional… right? and yes. the last song ends like that. makes my head ring every time. its like getting thrown in a vacum! yeah, boomkat has FLAC. good deal yeah? Other Musics are 320 though, and encoded using the LAME encoder. so, they’re not bad either. the itunes is now working. should work world wide. still the typo. but you can download the whole album, as an album. in itunes plus. and of coarse preview the whole album. you can also stream the whole album from last.fm..